Boones Junction is located in Wilsonville, Oregon with the best Burgers and gourmet style pizza in town! Boone’s is a cozy and friendly little place where most of it’s customers get to know each other rather quickly and meet for some of the best food and libations to be found anywhere around. It is a small place with only 33 seats to be had inside, but when the weather is bearable you can find 30 more seats on its outside deck. Within walking distance of most addresses within town Boone's Junction makes up a fantastic pizza and sandwich line, and our prime rib cannot be beat. Friendly Staff, Great Food, and an awesome atmosphere!!! Boone's Junction is Wilsonville's best kept secret! Located in Wilsonville, Oregon, Boone’s Junction is a Wilsonville Restaurant that specializes in the best pizza in town. We make sure to remain one of the favorite restaurants in Wilsonille by providing the freshest ingredients and a very happy and friendly experience! 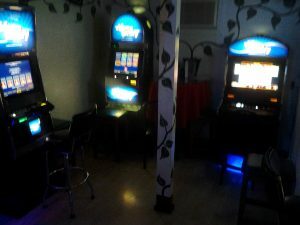 Boone’s Junction provides video poker in the bar area. And we all know how popular it is!